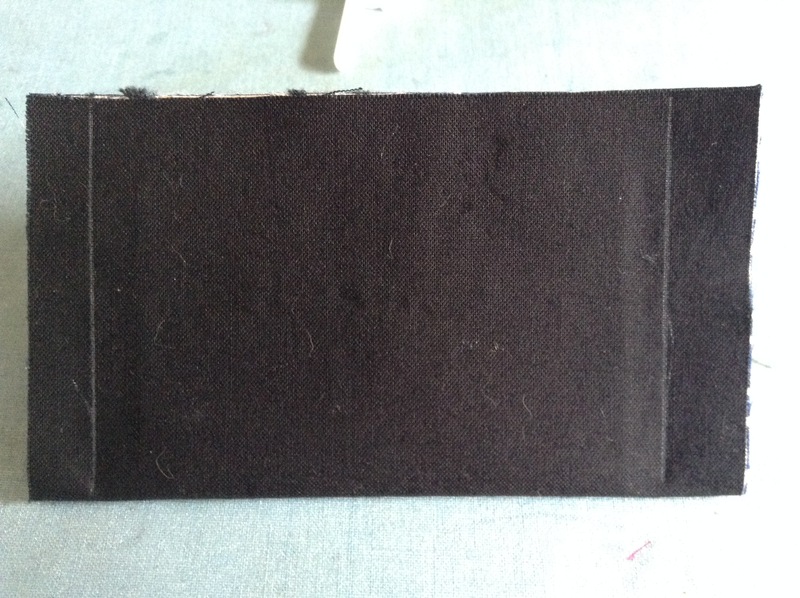 A while ago I made this RFID blocking card sleeve. The new credit cards with chips transmit info to the card reader in a “contactless manner”. Research has shown that although they are not supposed to transmit more than 10cm (4″) away, they actually can be picked up a metre away. 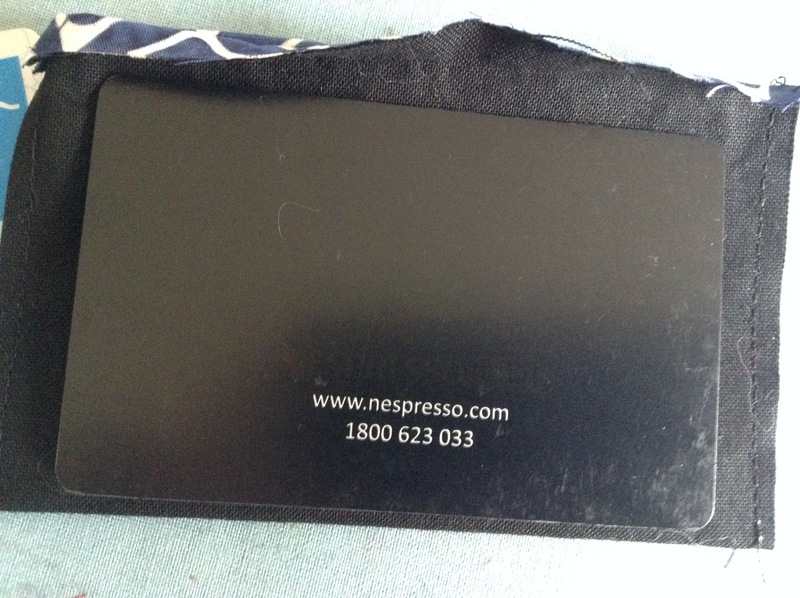 Though Sophos security seems to doubt the efficacy of RFID blocking sleeves, I have tried using my card at a “tap and go terminal” inside the sleeve and it blocked it completely so I’m quite happy with it. 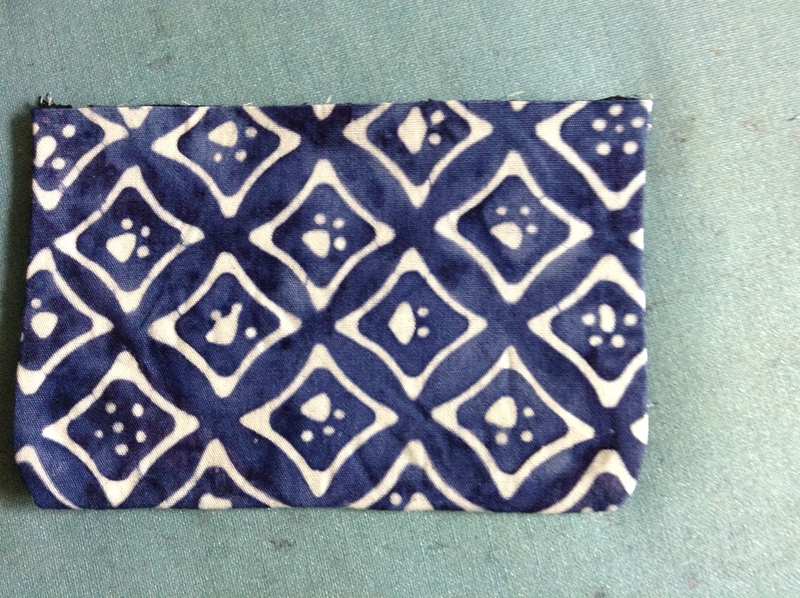 I thought you might like to make your own too. 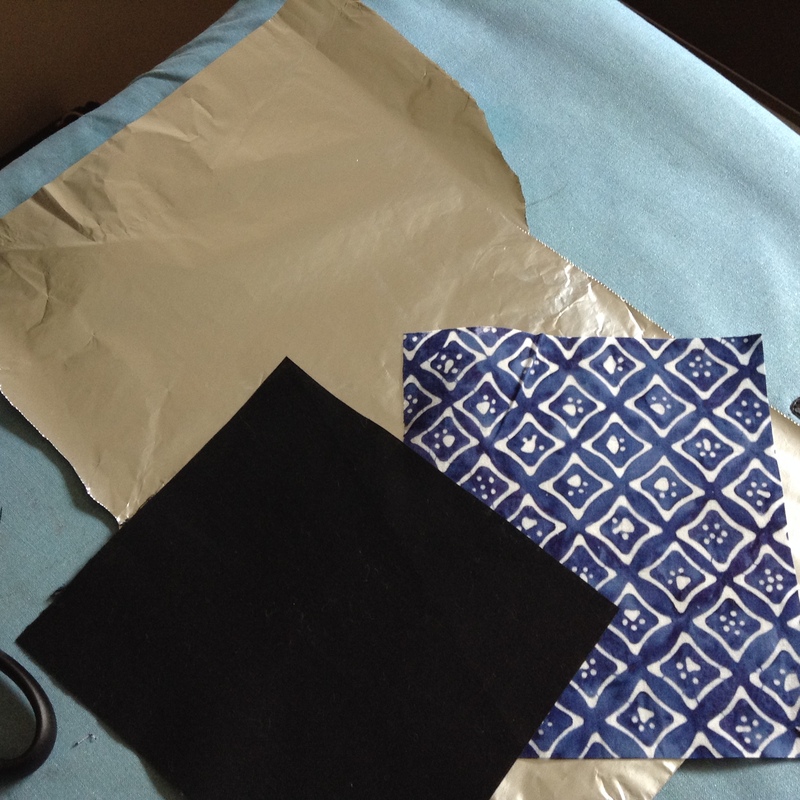 Two pieces of fabric (preferably batik), some Wonder Under (or similar), some Aluminium foil (the strongest you can buy) and some credit cards (the number you plan to store in the wallet). 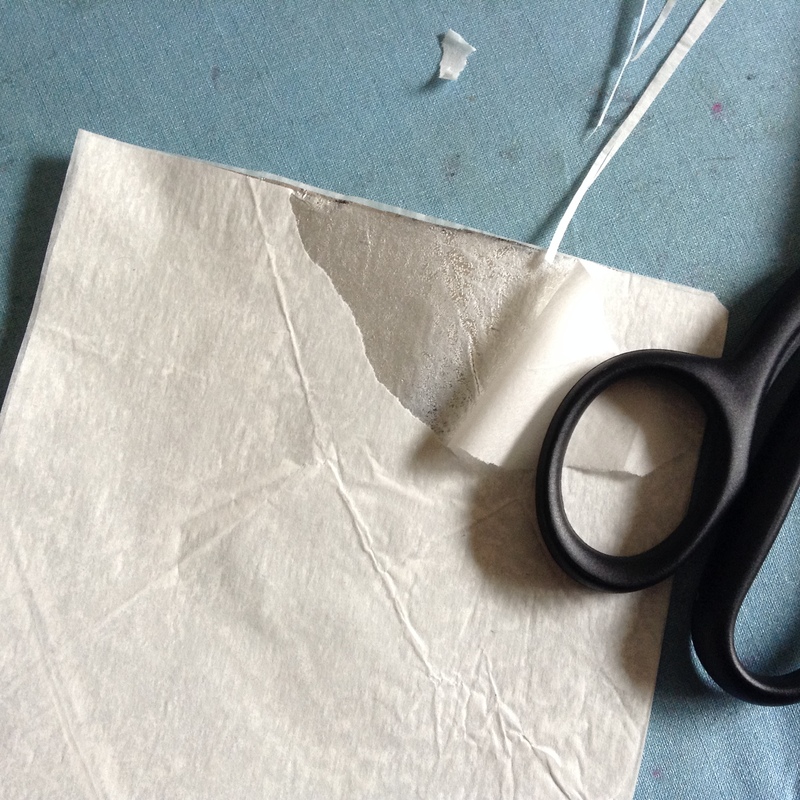 Cut your two fabrics and your Aluminium foil to 5″ x 51/2″, and your Wonder Under to 5″ x 11″. 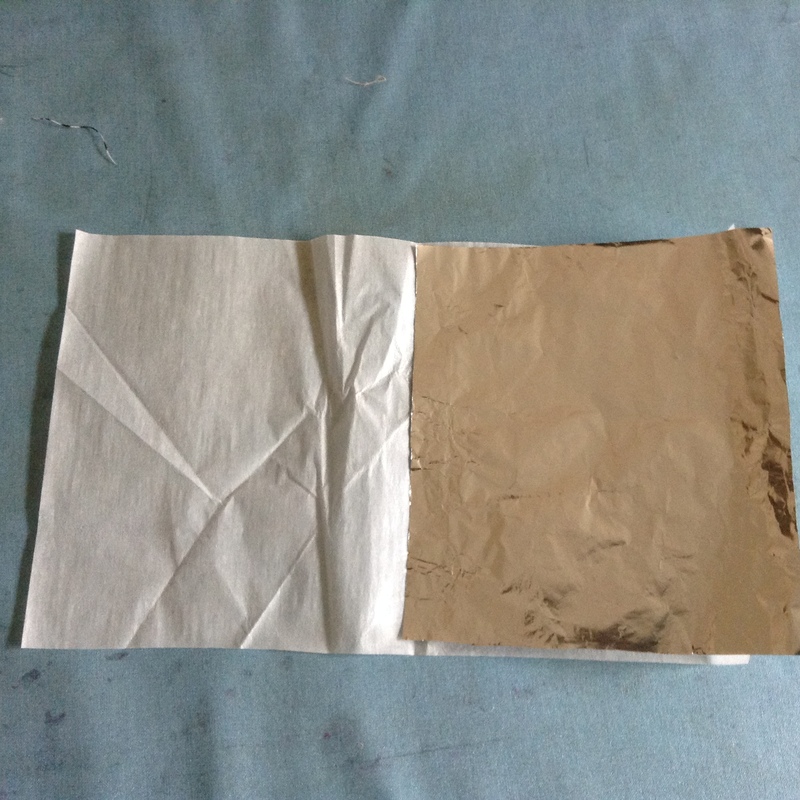 Fold your Wonder Under in half, with the glue side inwards and slide your foil in between and iron both the back and the front so that the foil is sandwiched and fused completely. 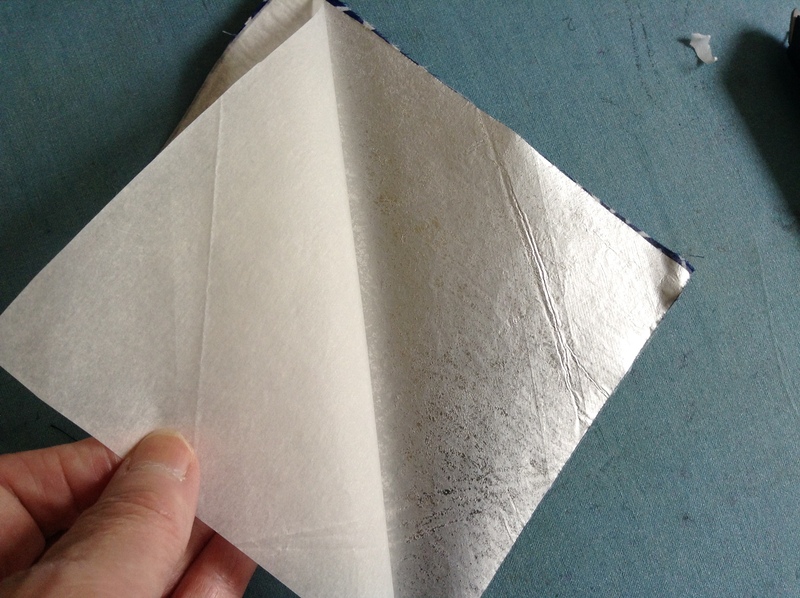 Peel the paper backing off the foil on one side. 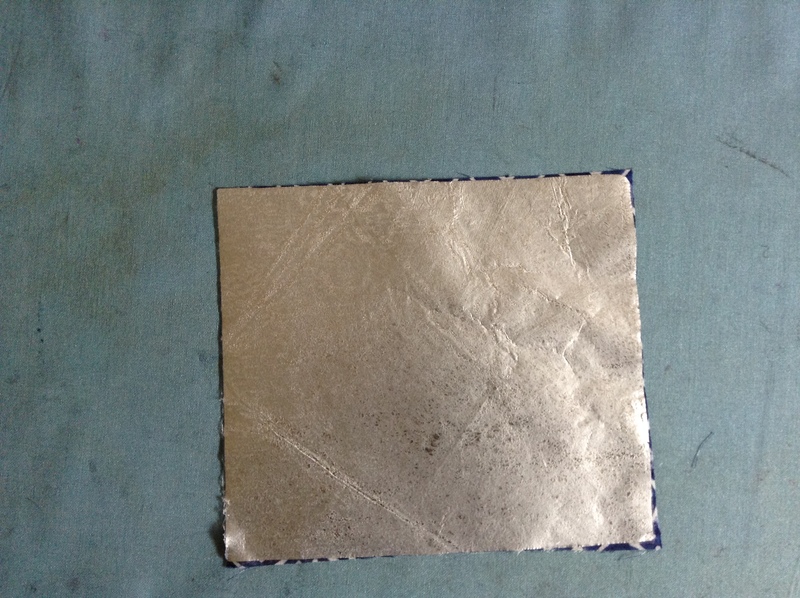 After removing the paper from one side, lie one of your pieces of fabric onto the glue side of the foil and press with an iron (no steam). 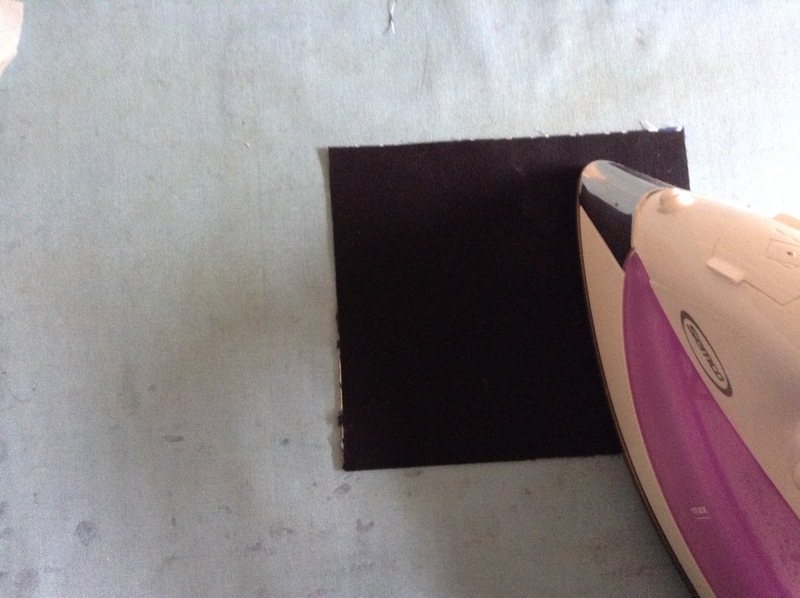 Then remove the paper from the other side and lay the second piece of fabric on top and press with a hot iron. 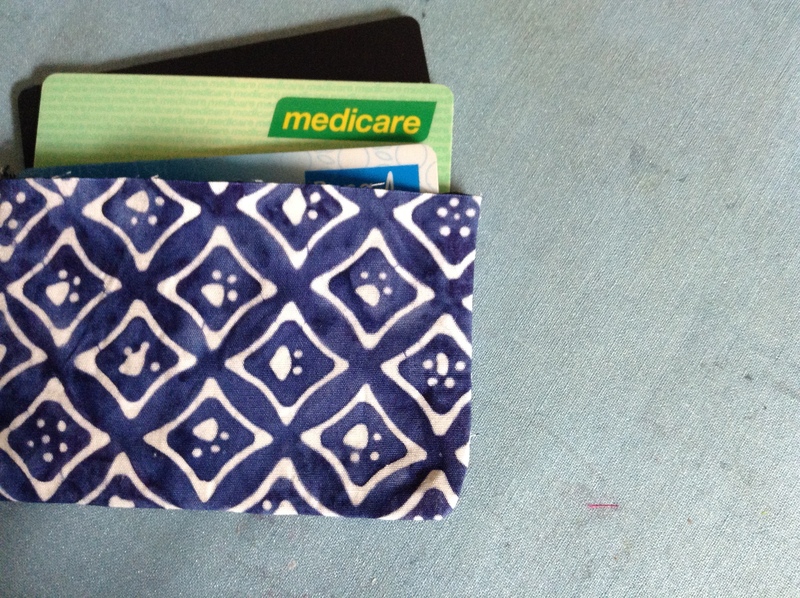 Grab the number of credit cards you are planing to put in the wallet. 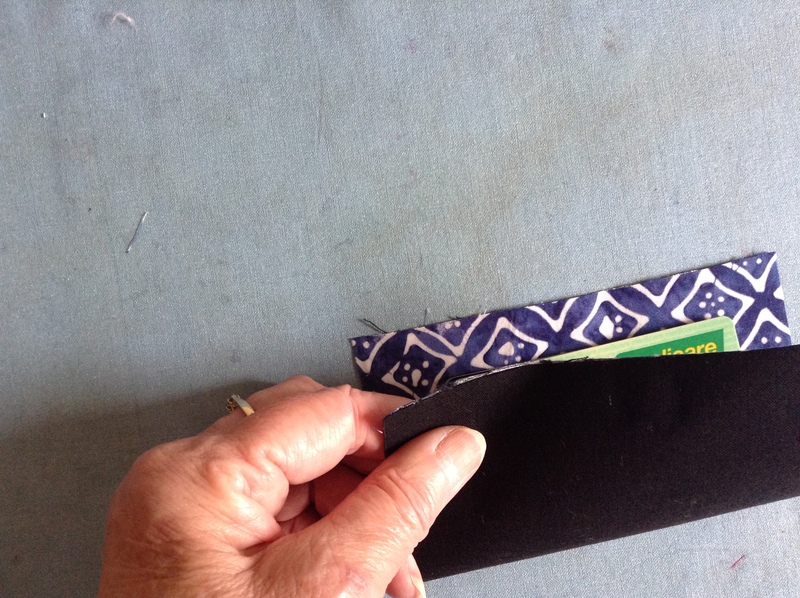 Fold the wallet in half, lay the cards inside and then with an “add a quarter” ruler place the centre line on the edge of the card and then draw a line at the quarter inch mark. 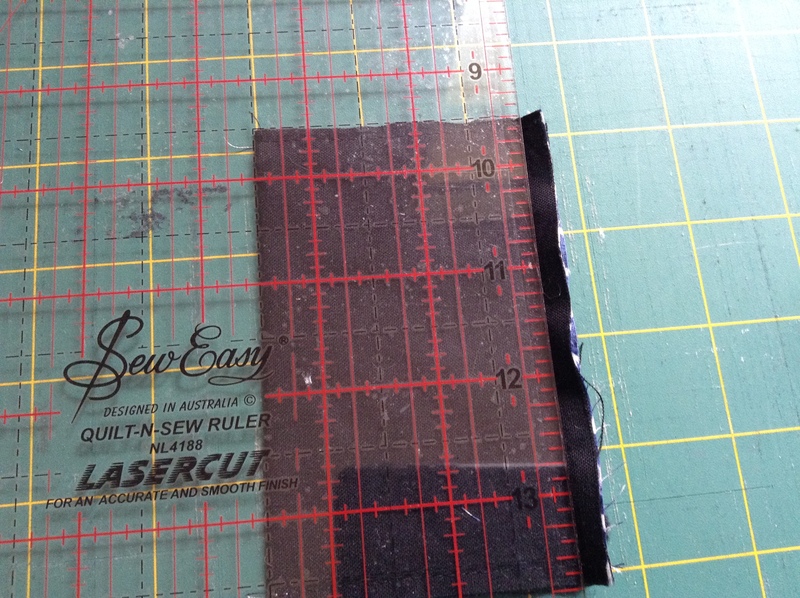 Remove the cards and sew along the marked seam lines. 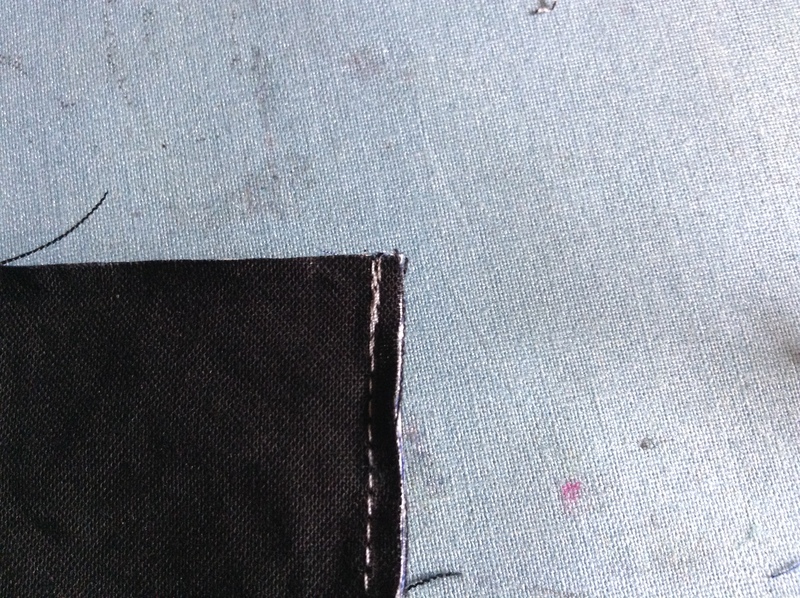 Trim the side seams and then place a card onto the wallet and fold the wallet top over to desired height. 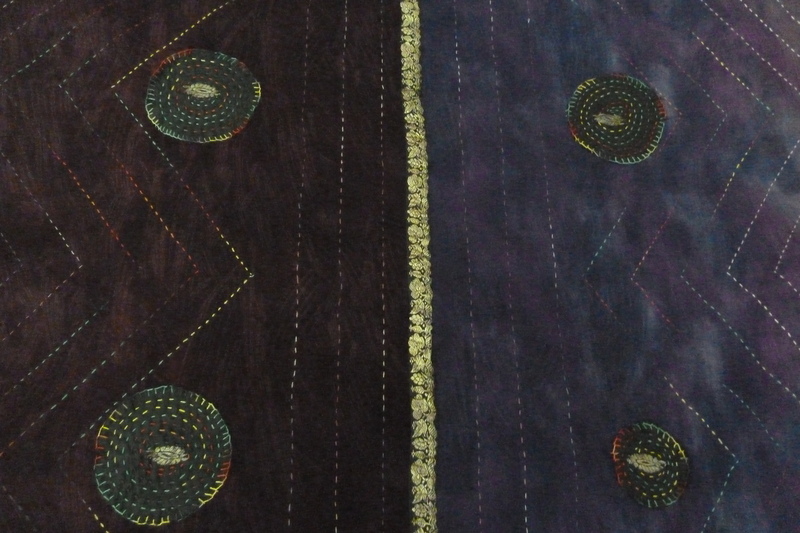 Because we used batiks there is no fraying so we don’t need a top seam. 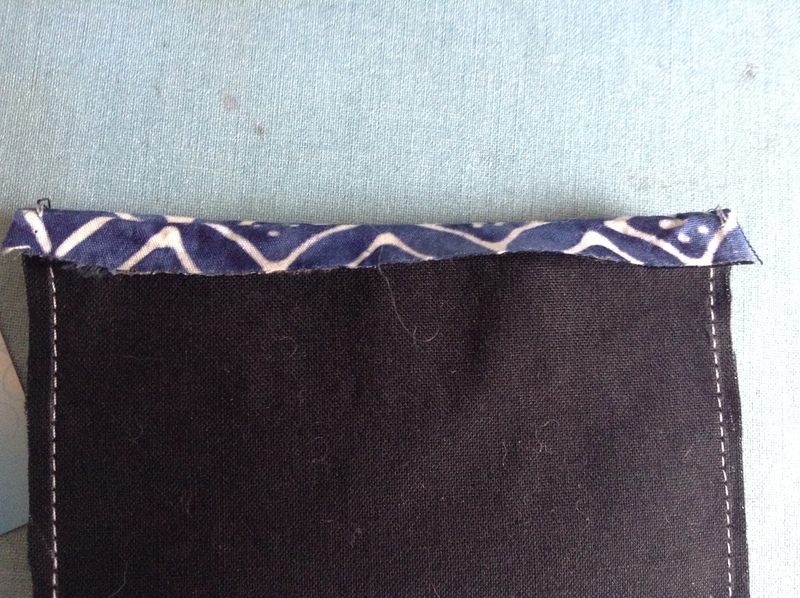 Then trim off the excess along the fold and reinforce the top of the seams by sewing back and forth a couple of times. 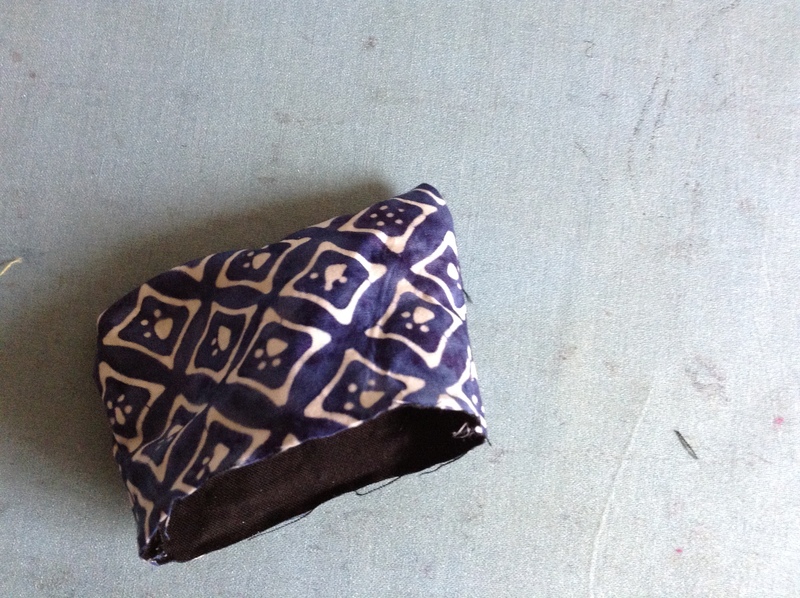 Turn the wallet inside out. 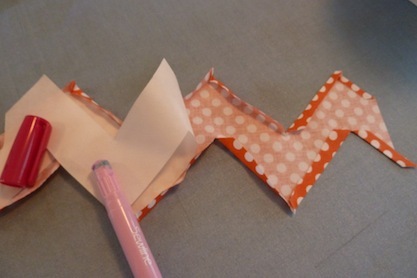 Pushing the corners out with your fingers. 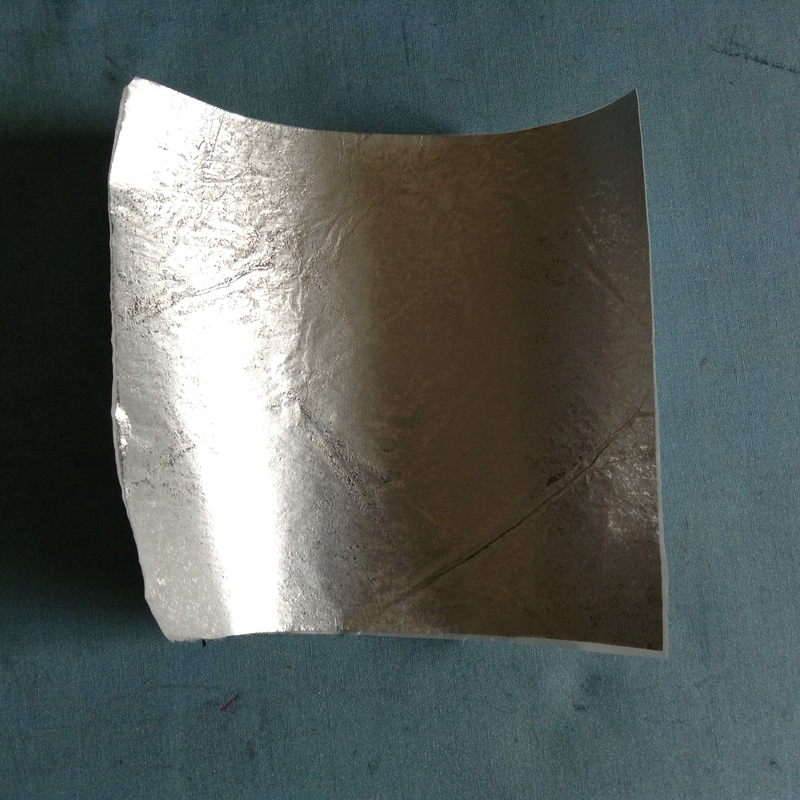 (Don’t use any sharp tools or you may tear the foil.) 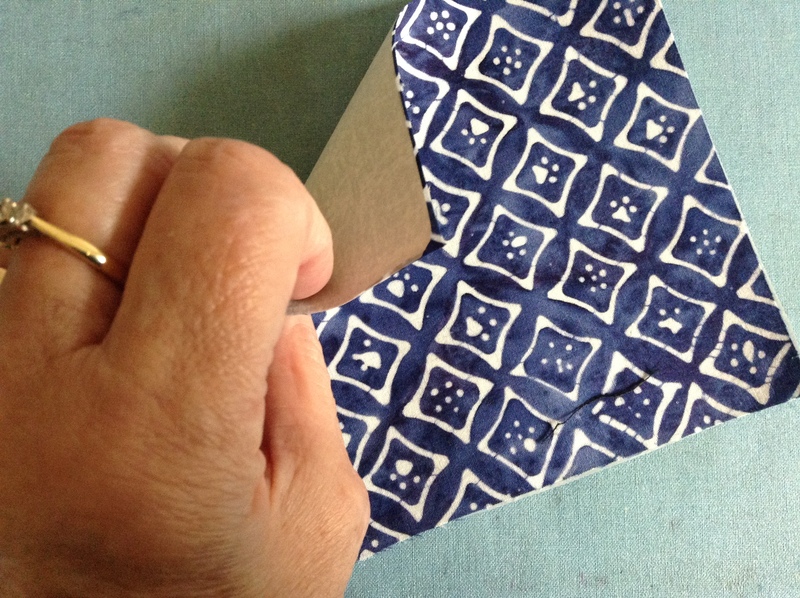 Then press the wallet flat and pop in the cards! 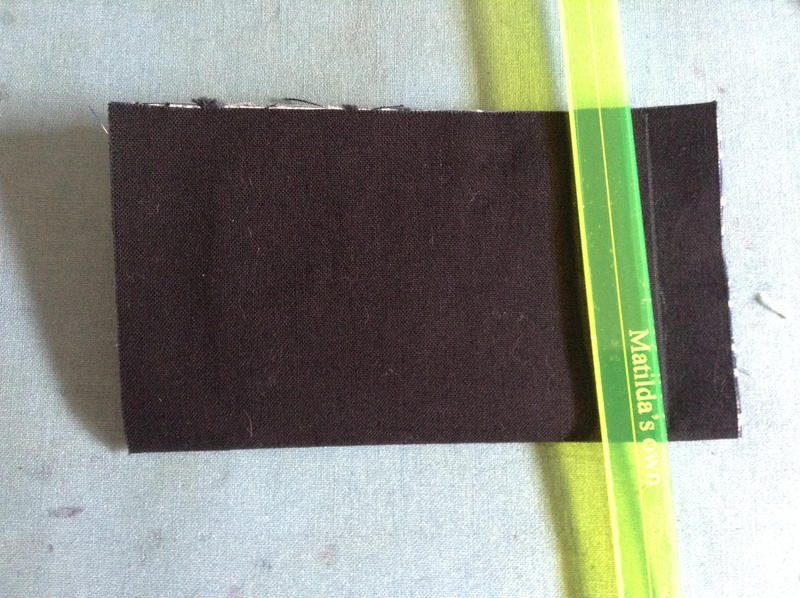 As you can see I haven’t used credit cards here and these cards don’t have chips so don’t need the RFID wallet. This is just for illustration purposes. I’d love to hear how you go if you decide to make your own. 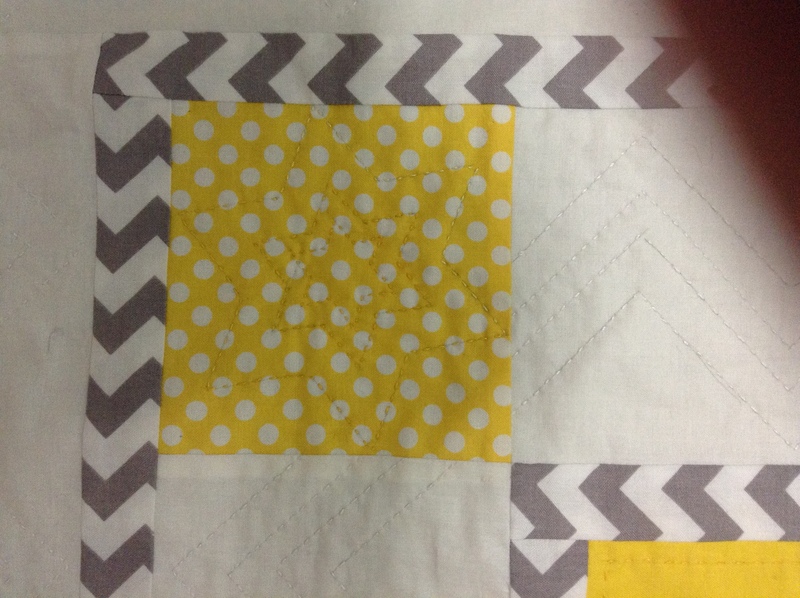 I made a baby quilt using foundation piecing techniques and scraps from my last baby quilt. 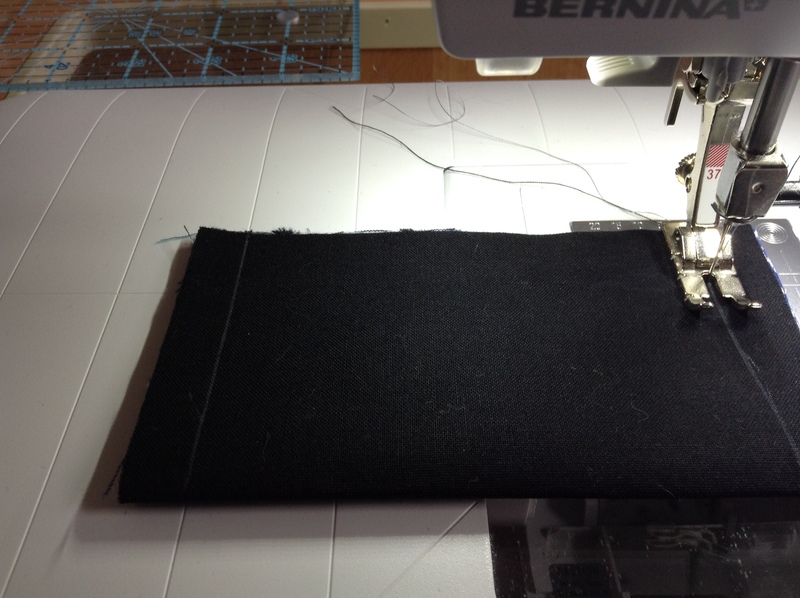 This because I’m trying to use stash wherever possible. 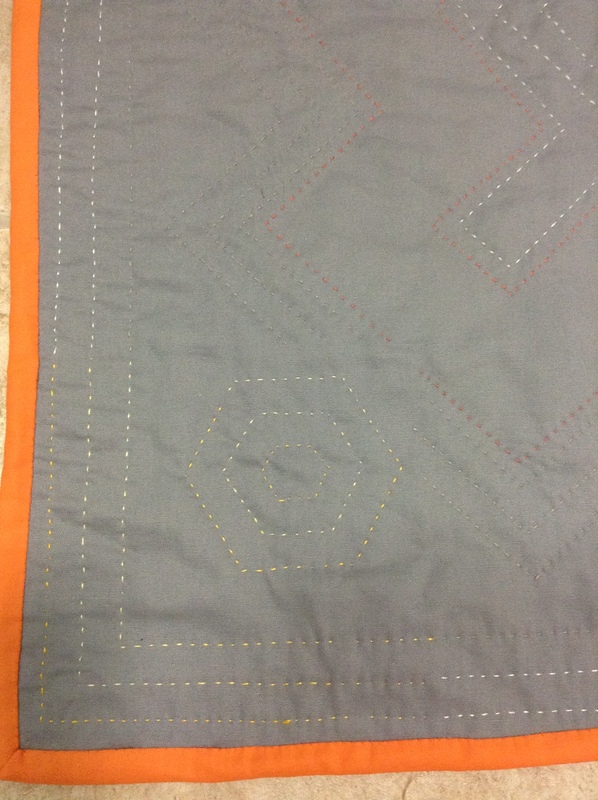 I pieced the back too and used my cloud ruler template to machine quilt it. 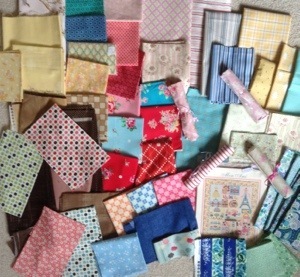 I also bought some fabric on the first of March because I’m making a quilt for my daughter and didn’t have many of the flowery fabrics needed. 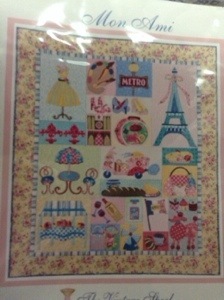 I saw this beautiful pattern my Verna Mosquera called Mon Ami and it reminded me of the lovely weekend my daughter and I spent in Paris last year so I decided to make it for her. 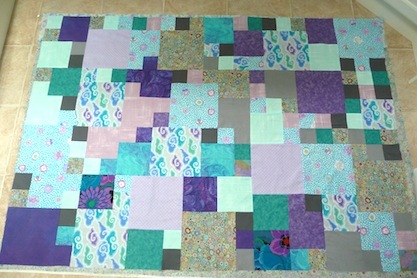 This is the first project that I’ve started this year and it uses scraps and other fabric from my stash, as per my fabric challenge here. 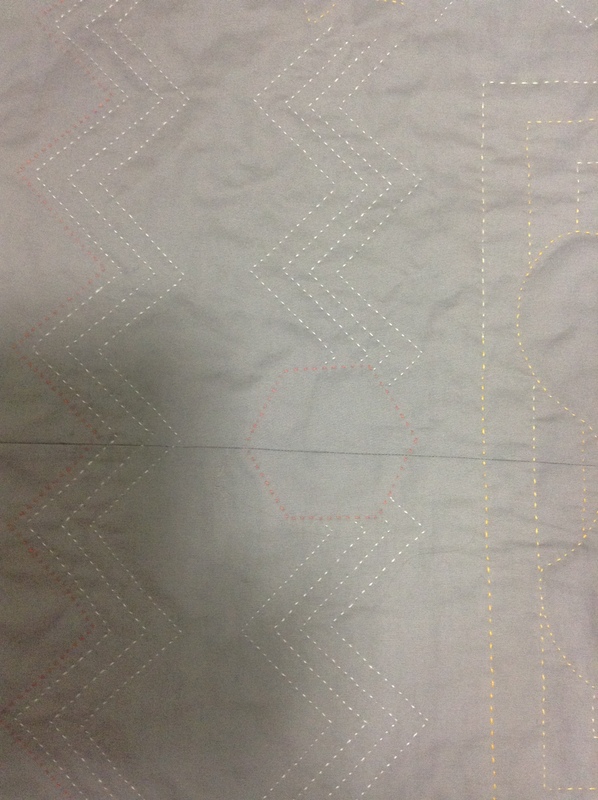 I’m making a coverlet, i.e. 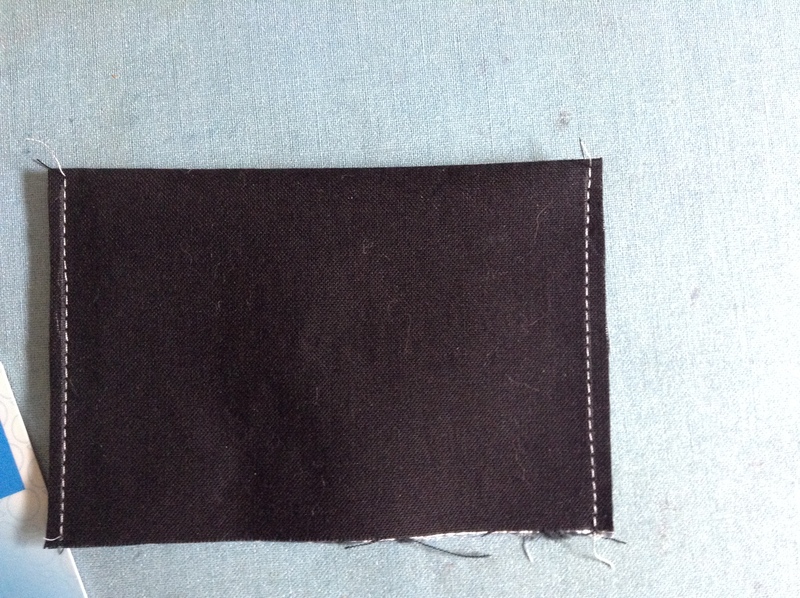 only two pieces of fabric with no batting in between. 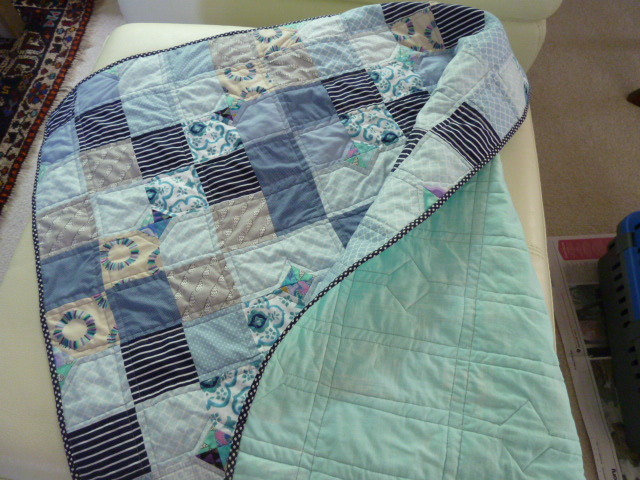 They are nice to use on hot nights when you want to be covered but a quilt is too thick. 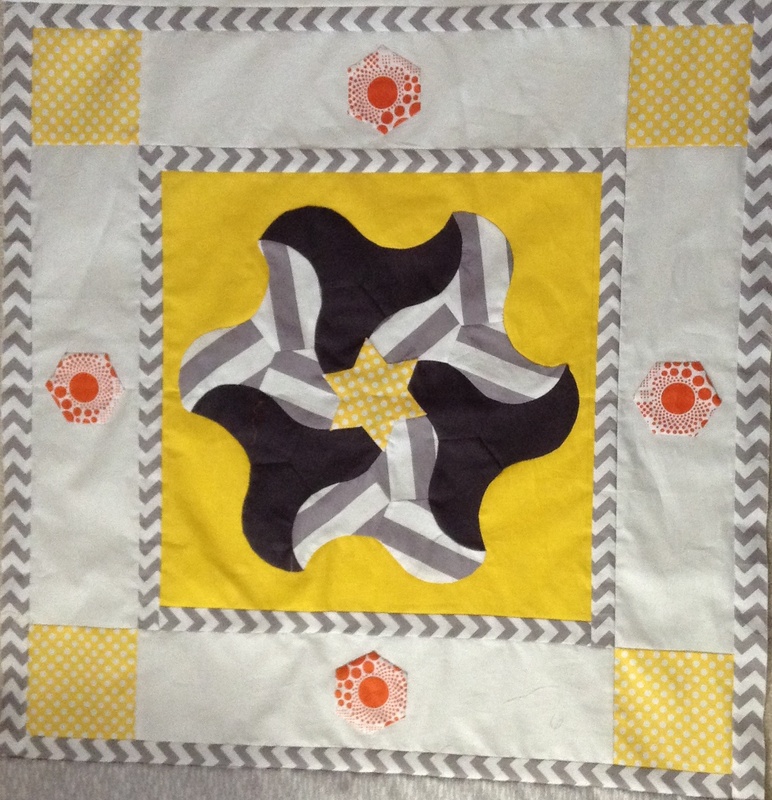 I made one a while ago for my husband and this one is for me. 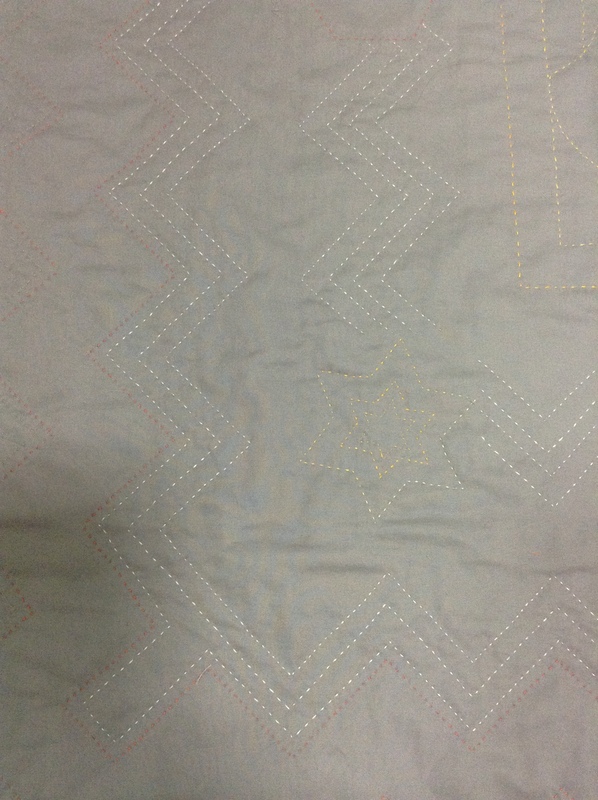 I’ve spray basted it and now I can’t decide if I want to machine quilt it; hand quilt it with normal quilting thread; or hand quilt it with 12wt thread; or do a combination of the two/three. 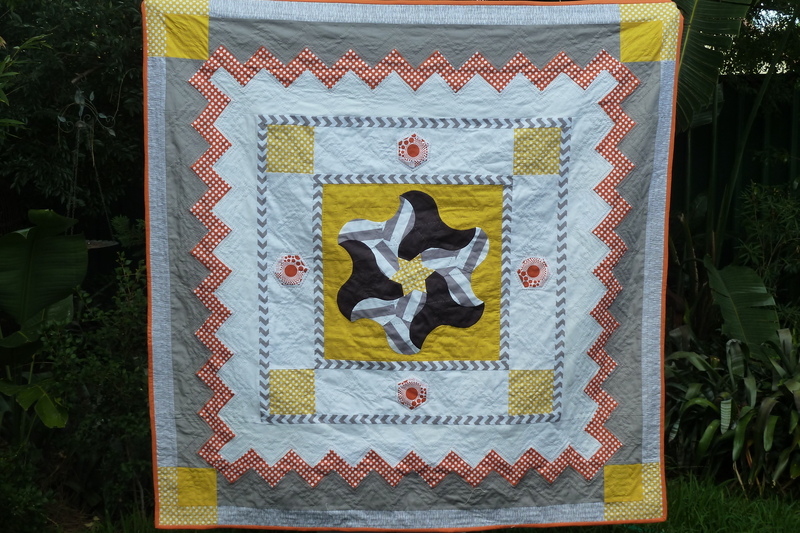 The Modern Quilt Guild is hosting a Riley Blake quilt challenge. 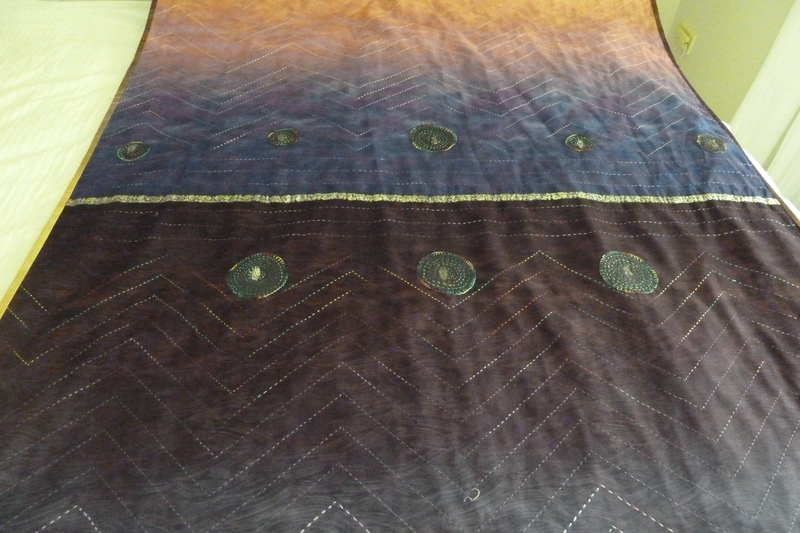 All members who applied were given 6 fat eighths of Riley Blake fabric and they could make whatever they liked as long as it was quilted. 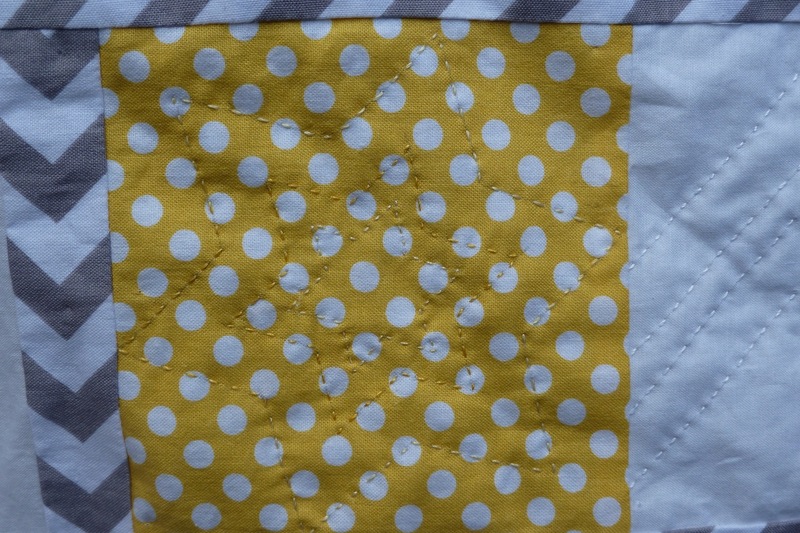 The rules were that you didn’t have to use all the fabrics you were given, that you could use any solids with them and any other Riley Blake prints. 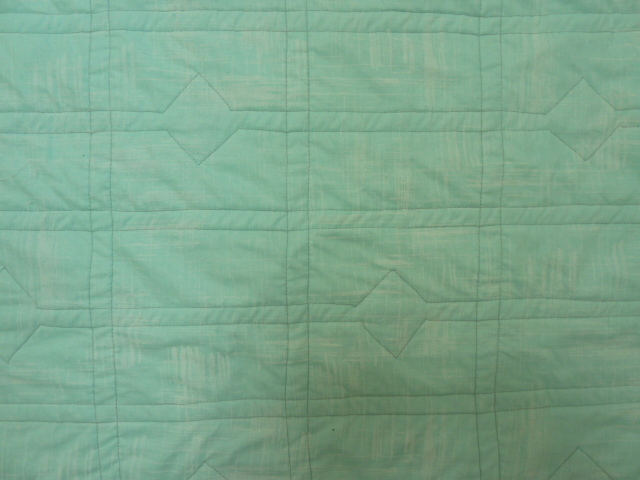 I didn’t use the blue gingham and the turquoise chevron in my quilt. 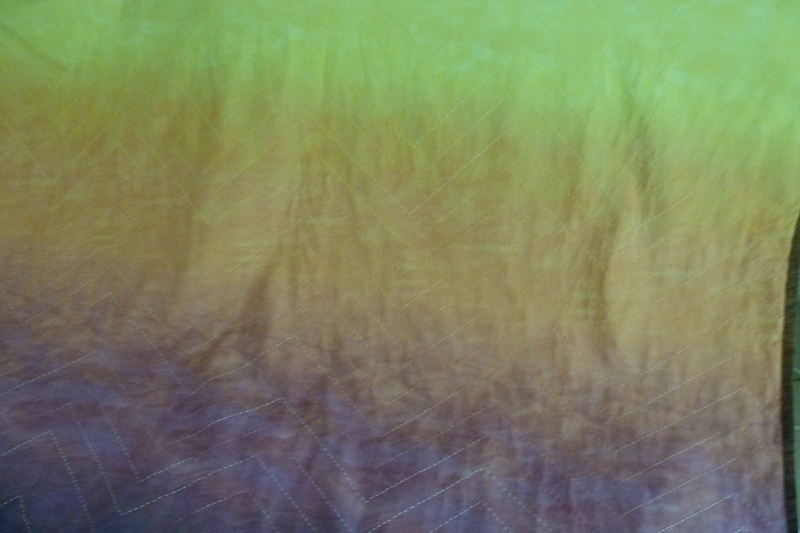 This actually surprised me as these are my favourite colours. 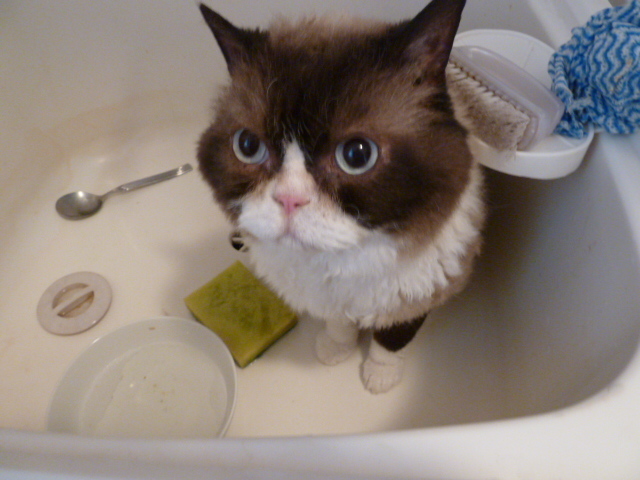 However the whole process was organic. 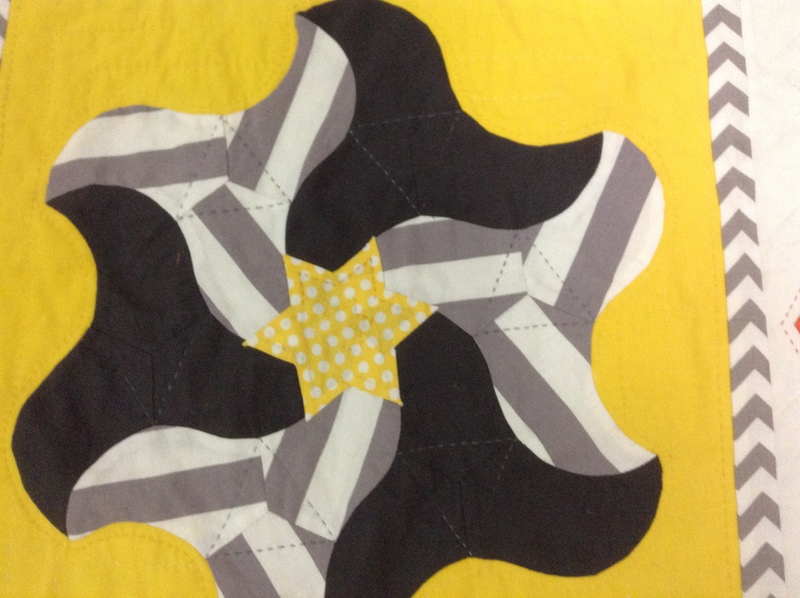 I began with the centre and I used my Andalusian tile templates with the dark grey and the grey and white stripe fabrics and hand-pieced them to make this. 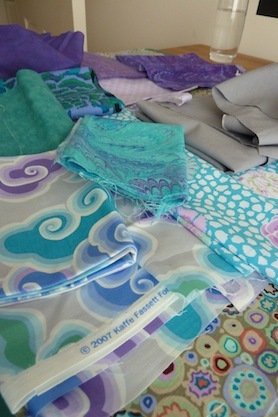 I had then intended to pair them with the blue and turquoise fabrics. 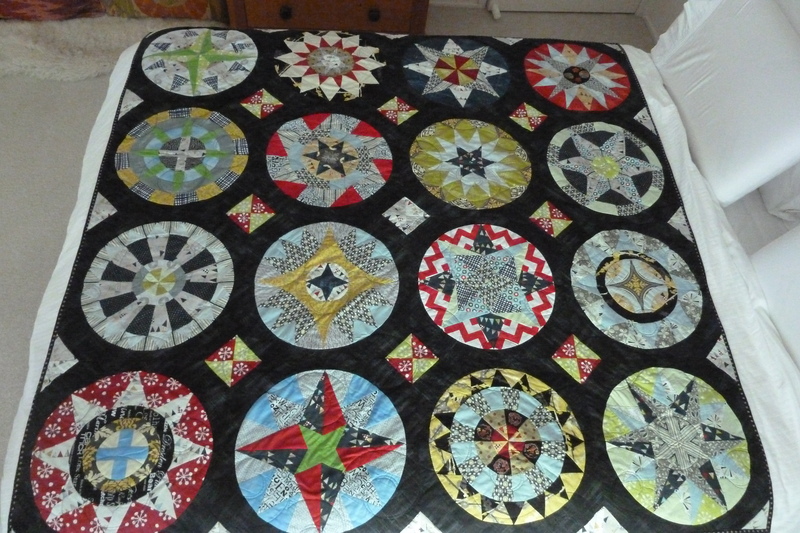 I looked for a suitable background to put the central medallion on but none of the greys I had did anything at all for it. 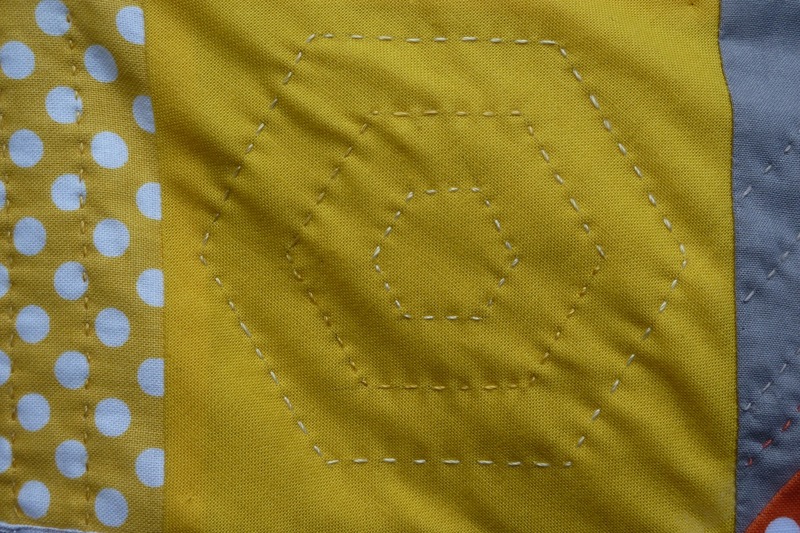 I didn’t have a suitable blue or turquoise solid so I opted for this really bright yellow. 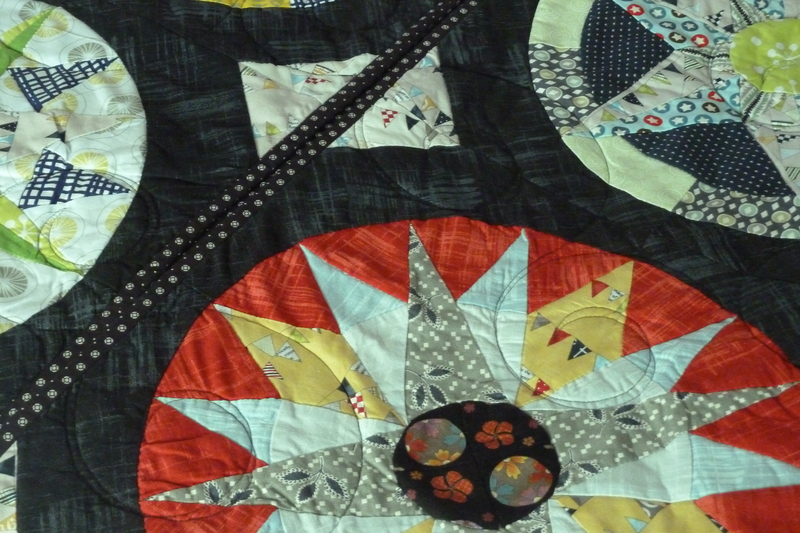 I hand appliquéd the medallion to the background and then had to ponder my next move. 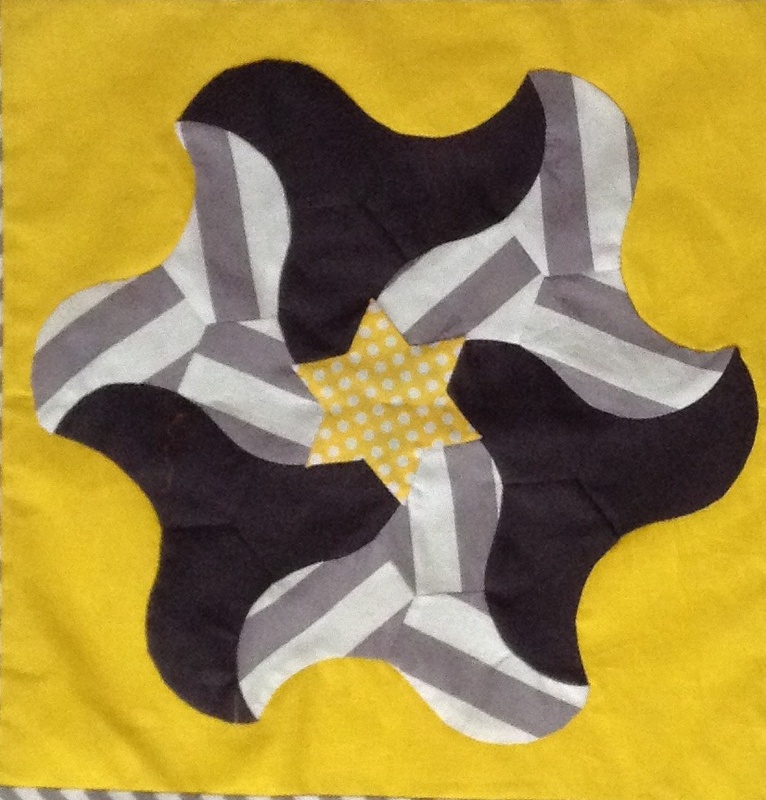 I cut a star out of the white spot on yellow fabric using my templates and appliquéd it to the centre of the medallion. 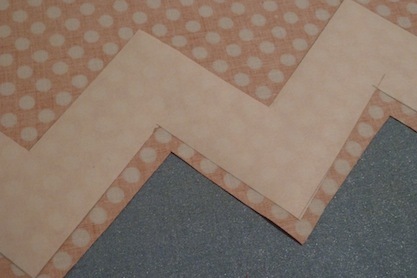 I bought some grey Riley Blake small chevron and used it for the first border and then decided to use the white spotted yellow fabric as cornerstones and make a Riley Blake white solid border with four hexagons from my tile templates made from the orange design fabric and hand appliquéd them on. 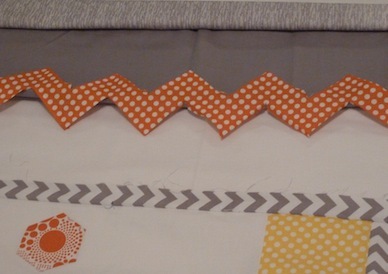 I then added another grey chevron border. 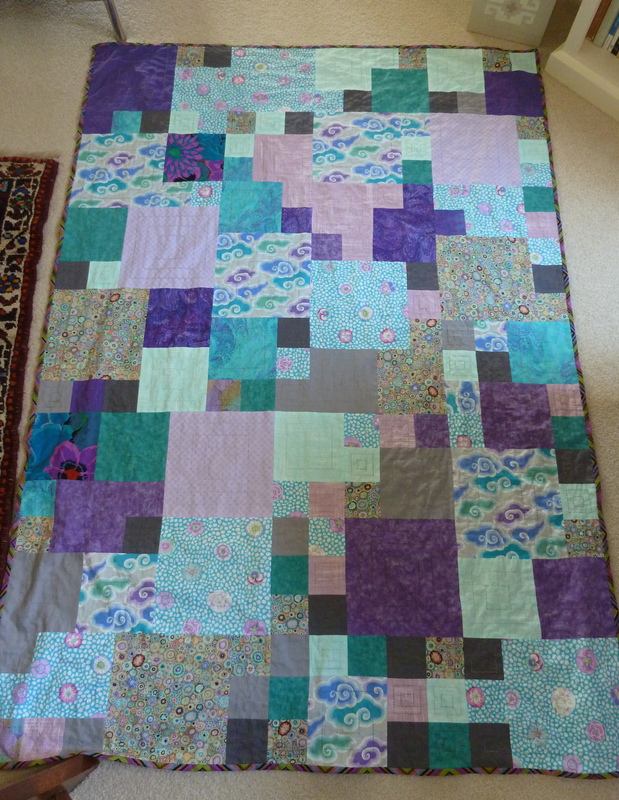 I almost finished at this stage but I really have no use for small quilts so I decided to keep going. 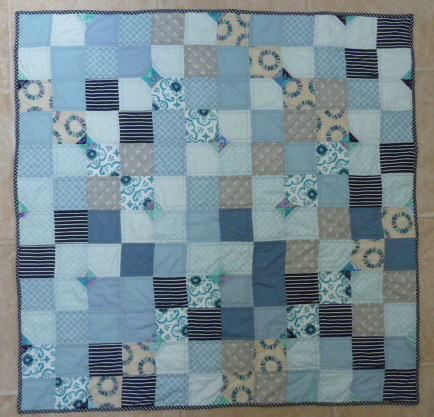 I sewed two fabrics together in strips to make a wide border – a Riley Blake white solid and a Riley Blake grey solid. 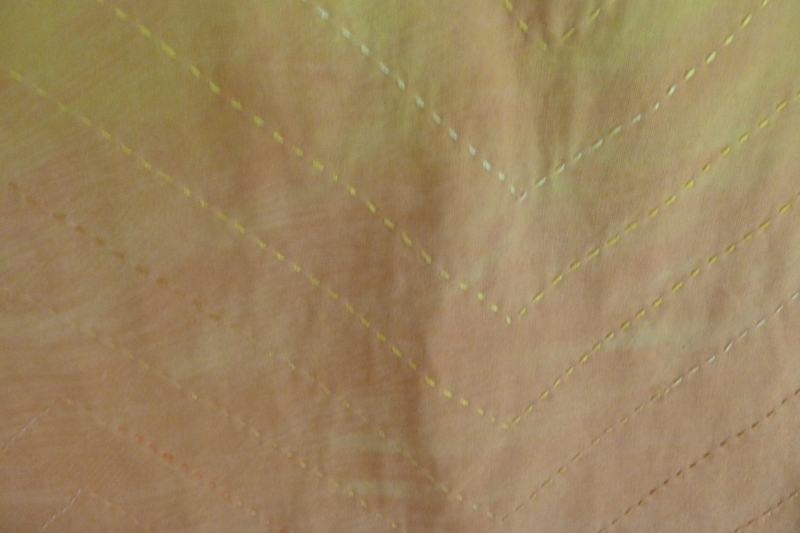 This looked unfinished somehow so I decided to make a zigzag of the white spot on orange Riley Blake fabric I had bought. Here’s how I did it. 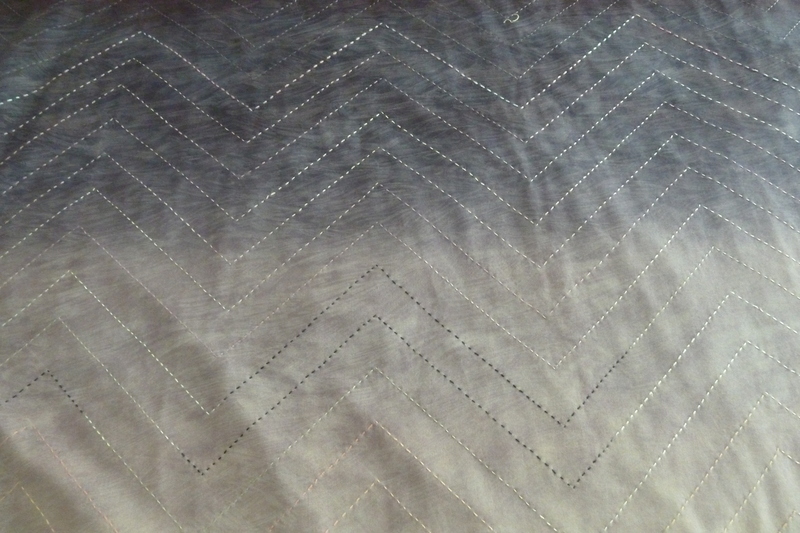 I had bought a large grey chevron but it’s size just didn’t fit this quilt so I used it as a template to make the zigzag. 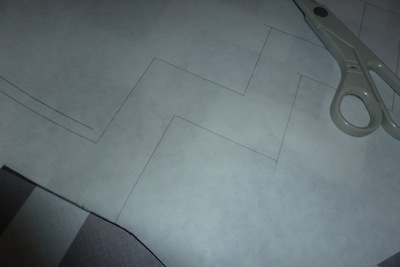 I ironed some freezer paper onto the large chevron and traced the zigzag through it with a small ruler and pencil. 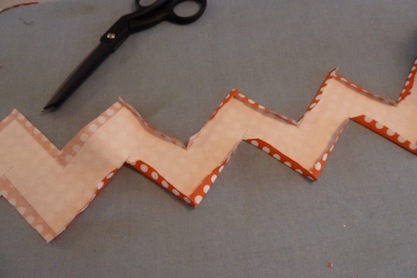 Then I peeled off the freezer paper and cut the zigzag out. 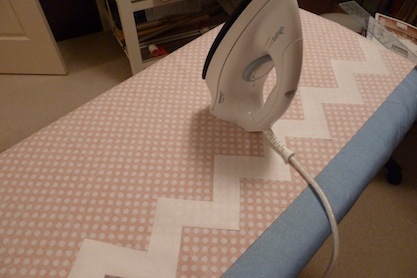 Once this was done I ironed the freezer paper to the orange fabric, wrong side up. 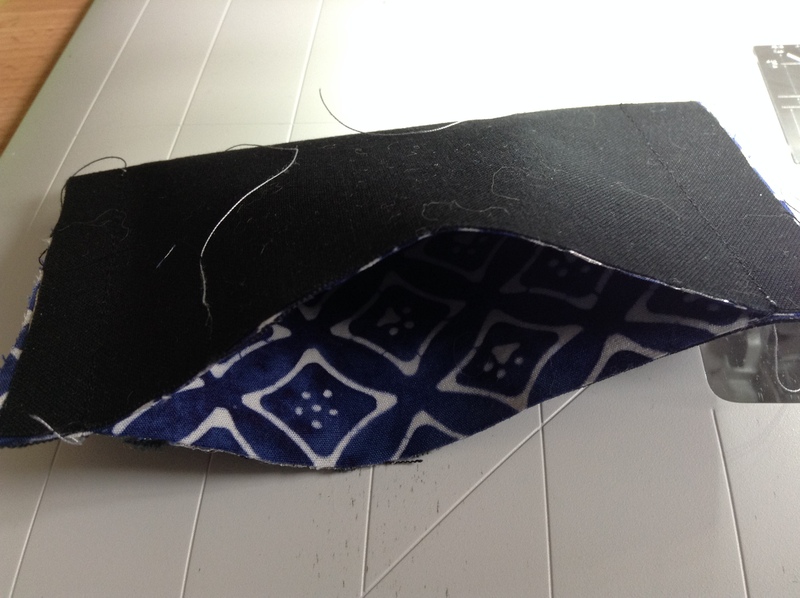 I cut around the zigzag with the freezer paper still attached to the fabric, leaving a 1/4″ seam allowance. 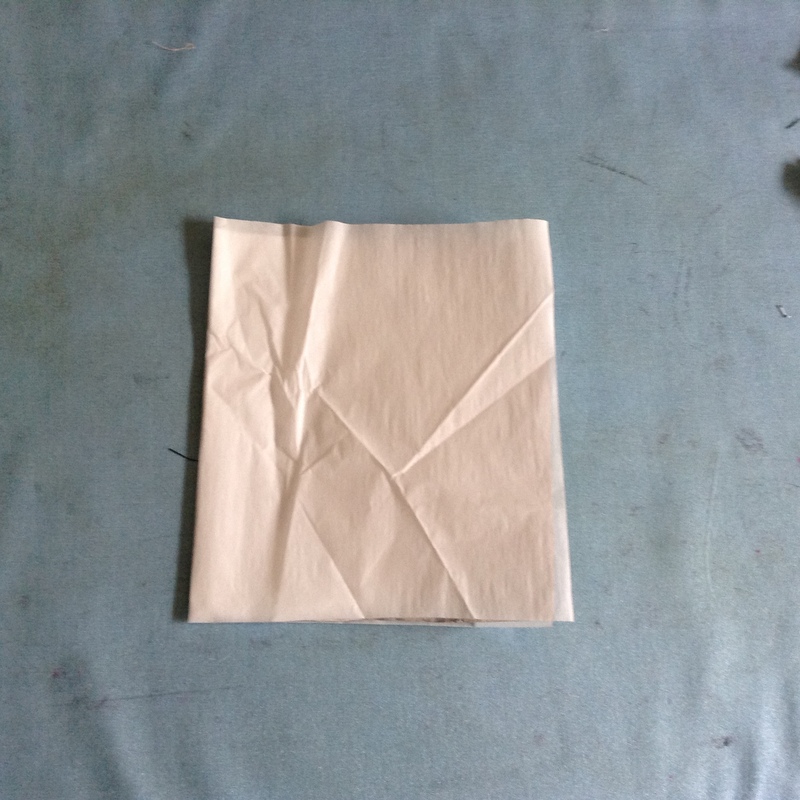 I then pressed the allowance down before removing the freezer paper. 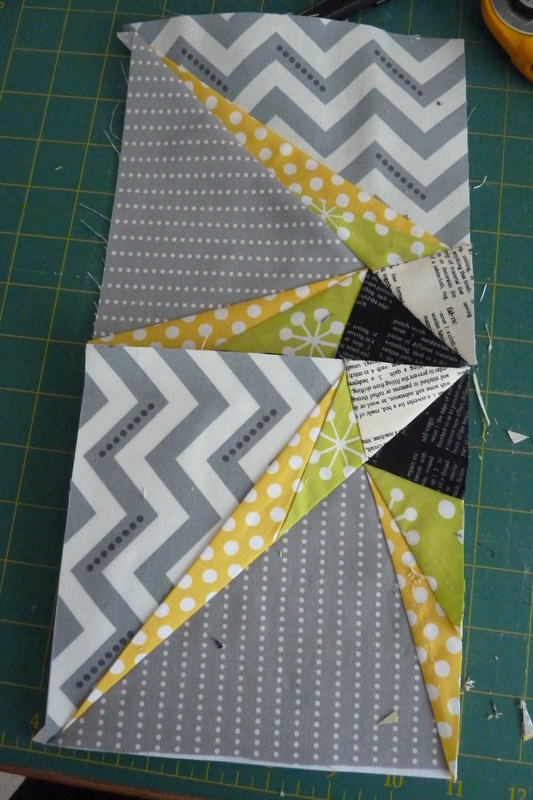 I removed a little at a time fabric glueing as I went. 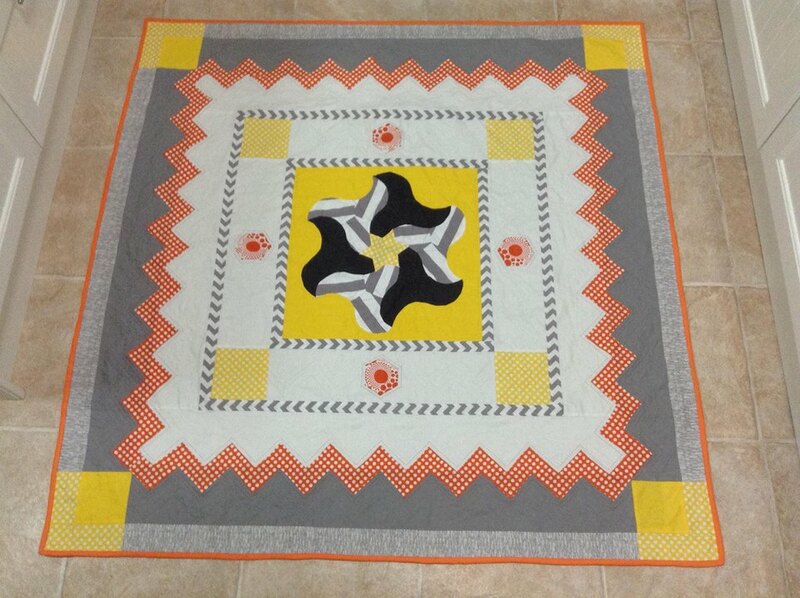 I hand appliquéd the zigzag at the join of the white and grey borders with Aurifil 50wt thread. 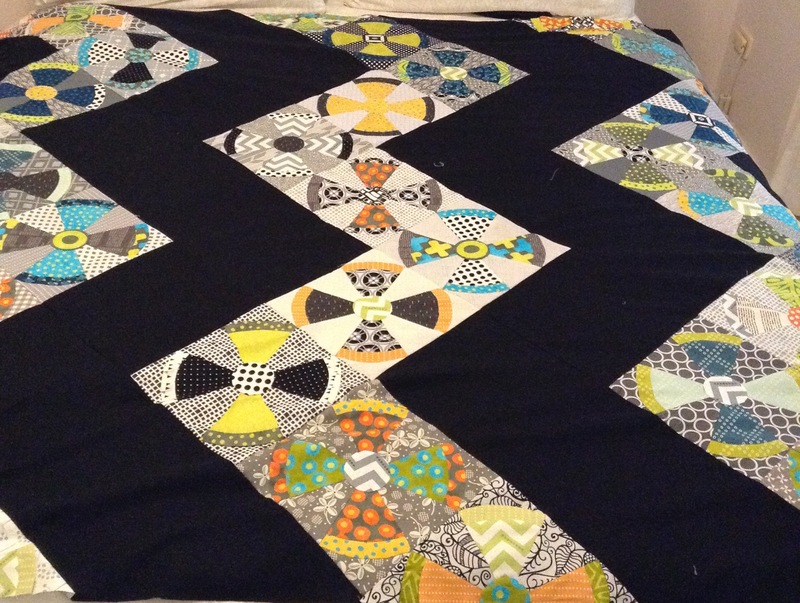 The borders were all only as long as the square of the quilt as I was planning on cornerstones as I didn’t have enough fabric – oops! 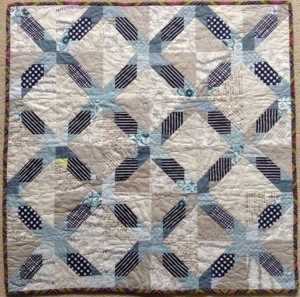 This meant leaving loose ends of zigzag at each edge to appliqué together once the corner stones were in place. 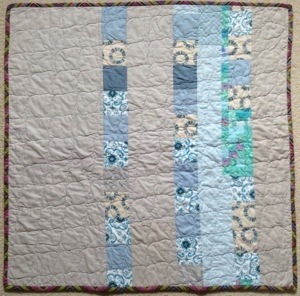 The outermost border is a lovely grey and white Riley Blake fabric called Shuffle. I didn’t have enough of this and had to fiddle around but luckily you can’t tell. 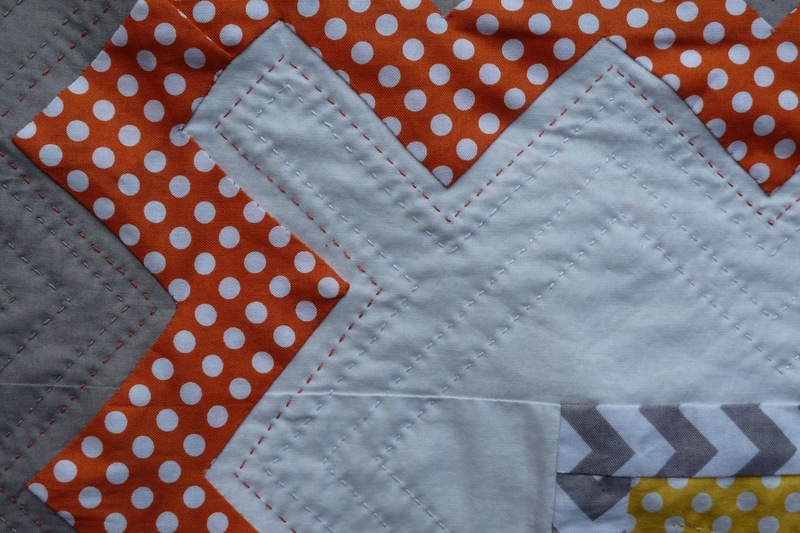 I added cornerstones of the yellow spotted fabric and then bound the whole thing with Riley Blake solid orange. 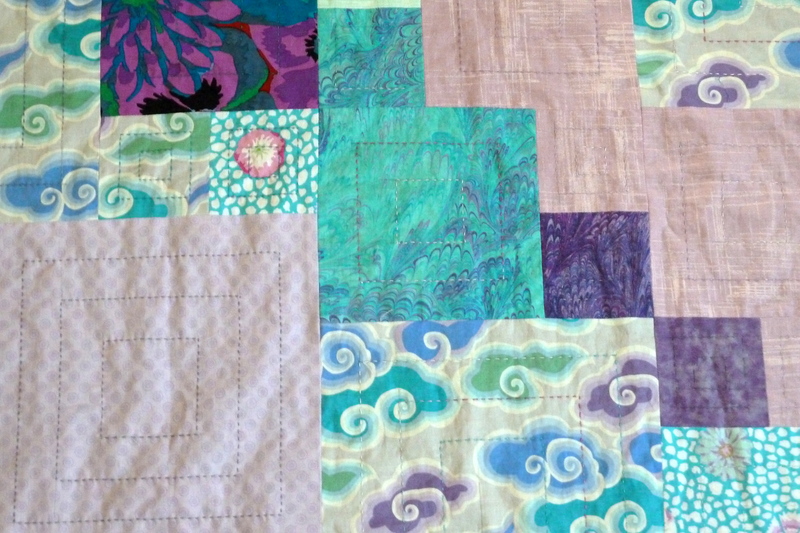 Want to see the whole quilt? 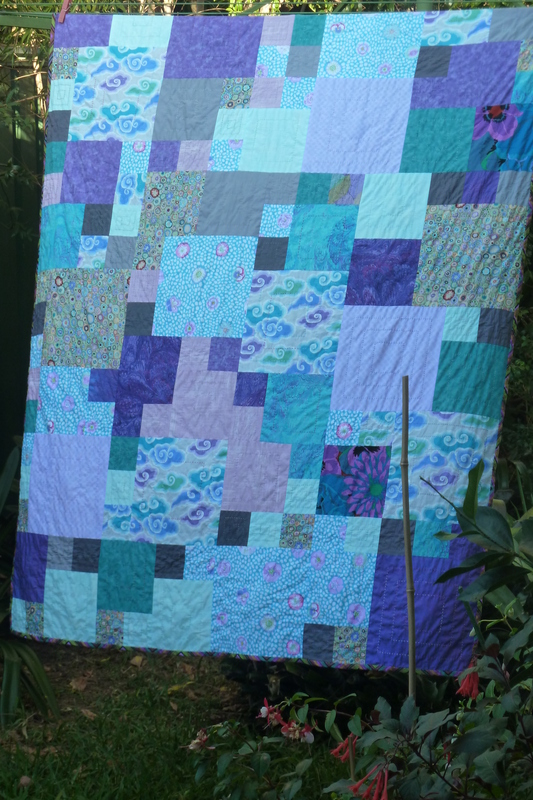 I hand quilted the whole quilt and rather than describe it all I’ll show you some photos of the individual pieces, and the back. 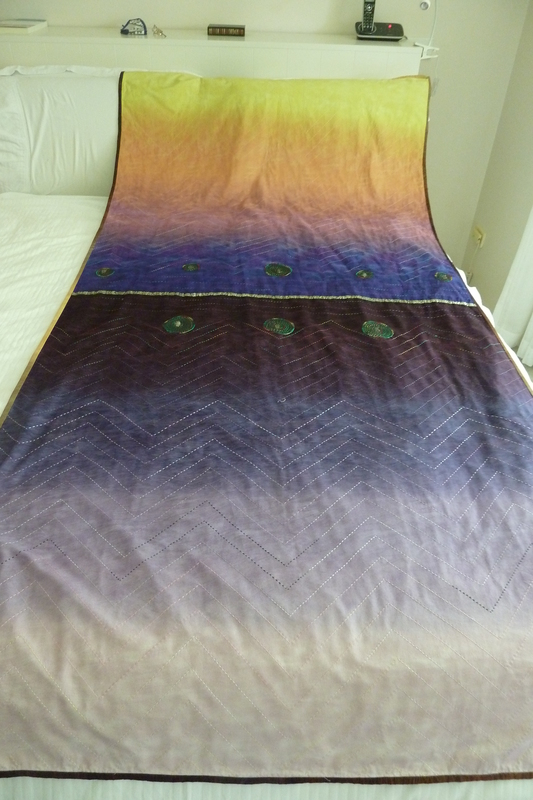 You might have to click on the photos to be able to see the details. 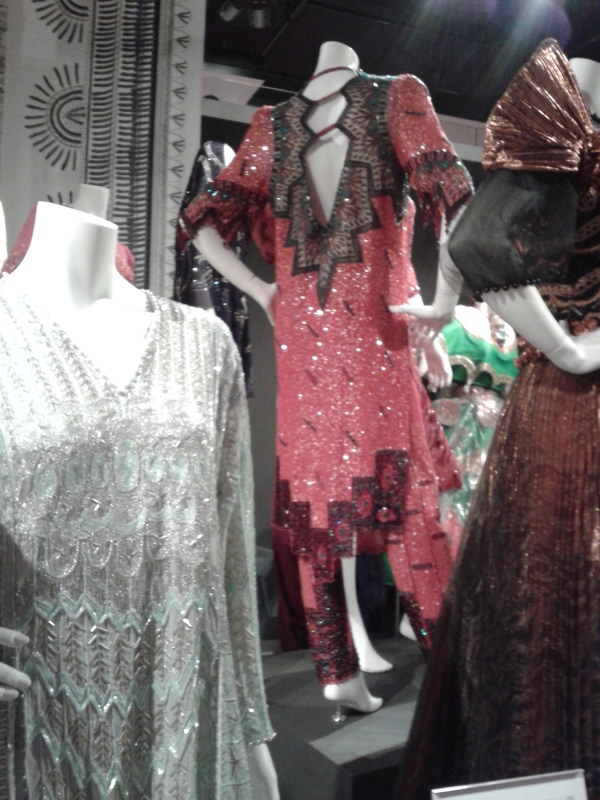 While I was visiting the UK I took my 10 year old granddaughter and my daughter to the Fashion and Textile Museum in London. 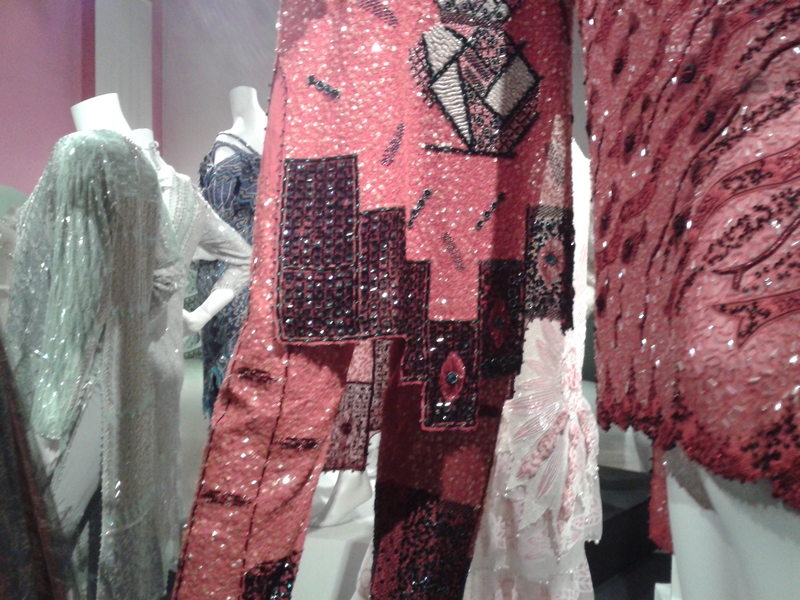 The Museum was started by Zandra Rhodes and she donated much of her collection of designer gowns and costumes to the Museum. It is now run under the auspices of Newham College. 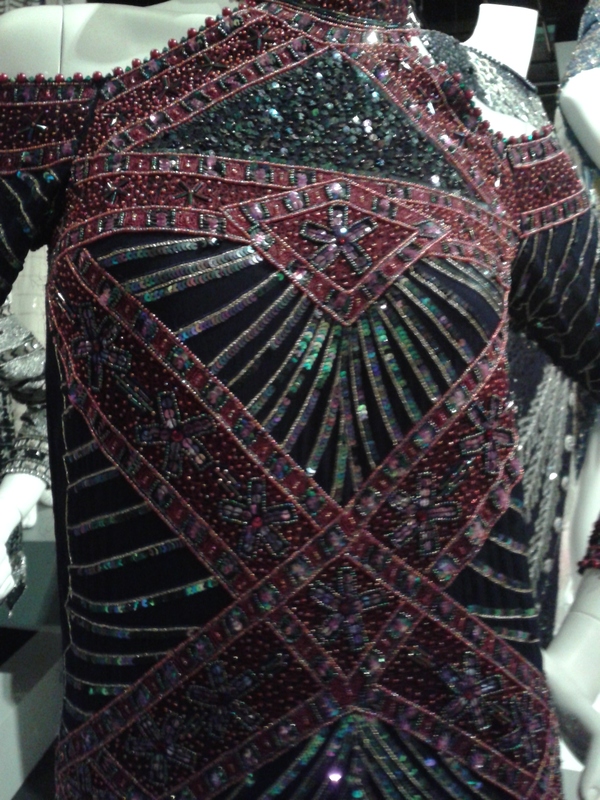 My granddaughter loves art and fashion and really enjoyed the Zandra Rhodes exhibition that was on when we visited. It included a couple of video interviews with her which were very interesting and even our 10 year old sat mesmerised. 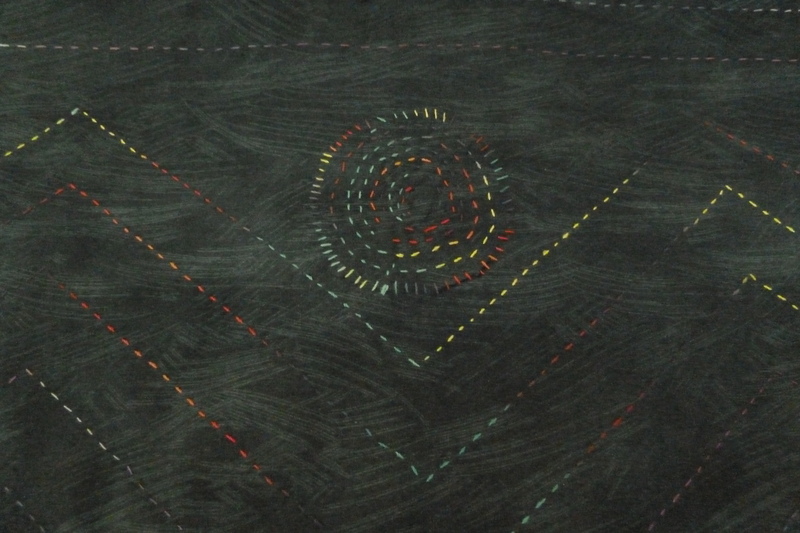 Visitors were encouraged to draw a design and leave it on the table in the viewing room. DGD did just that and signed it and put a copyright symbol on it!! 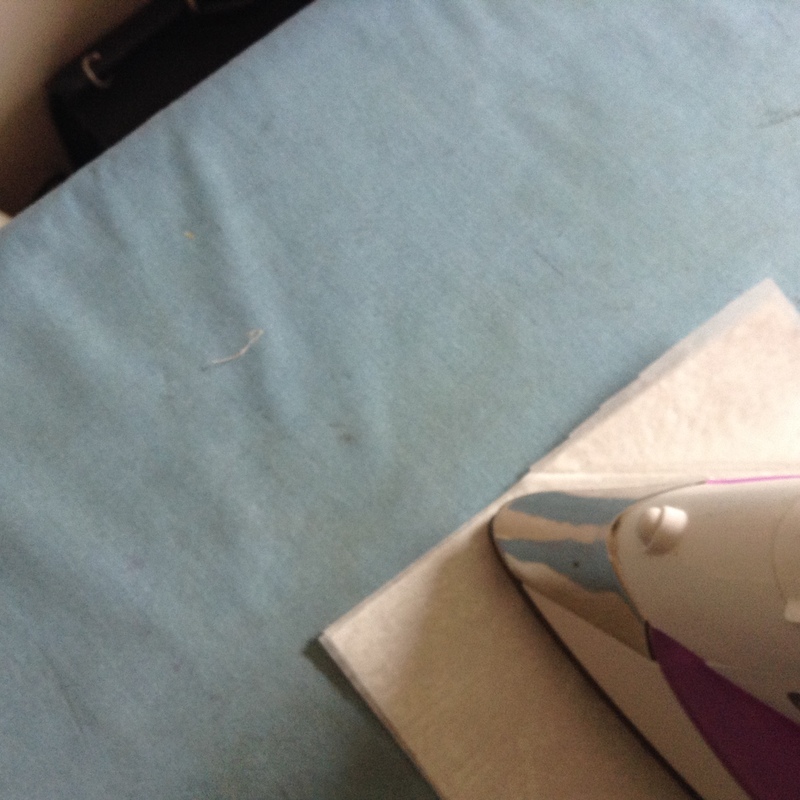 Wish I’d take a photo but she may not have given me permission to publish. 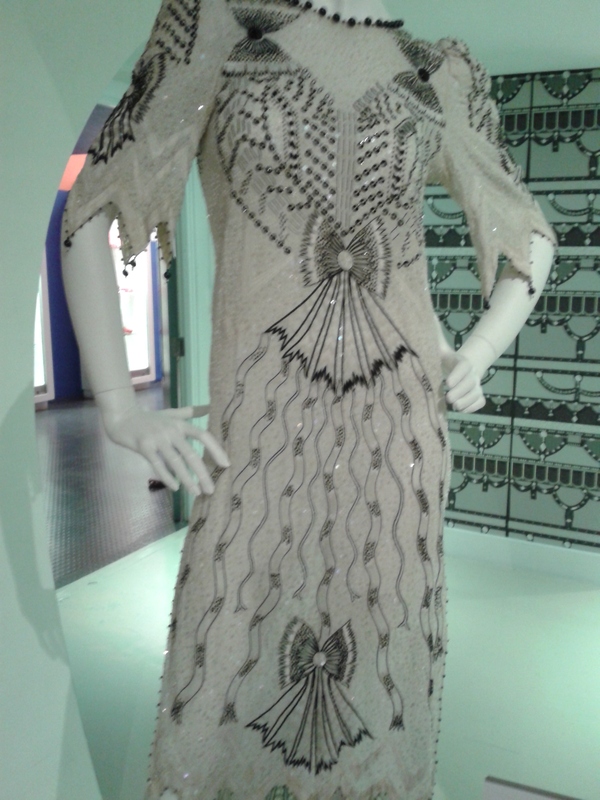 The F&TM itself was very generous and gave me permission to show you the photographs I took of the exhibition. Please bear in mind no flash was allowed and these were taken on a Samsung cellphone. 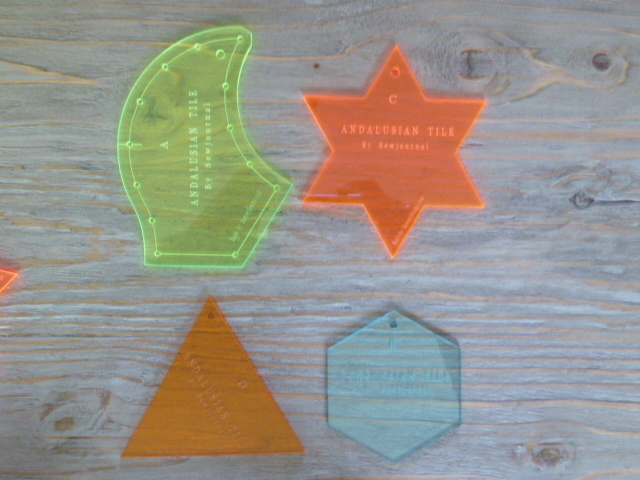 They are nontheless gorgeous! 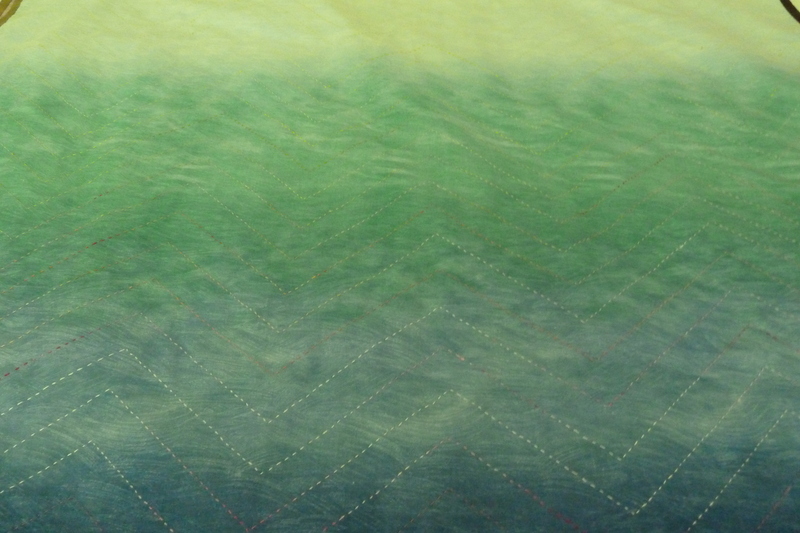 If you click on them you’ll get a larger image. Enjoy! 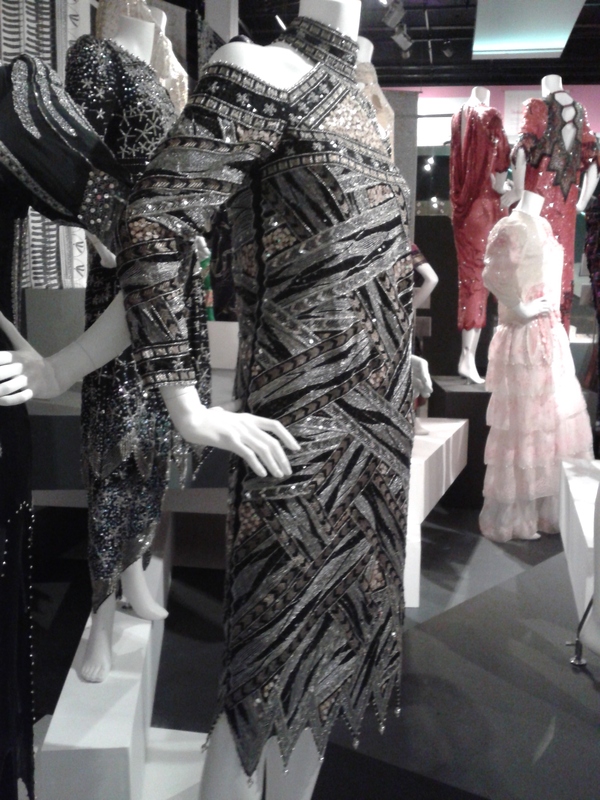 The F&TM is really worth a visit if you are in London. 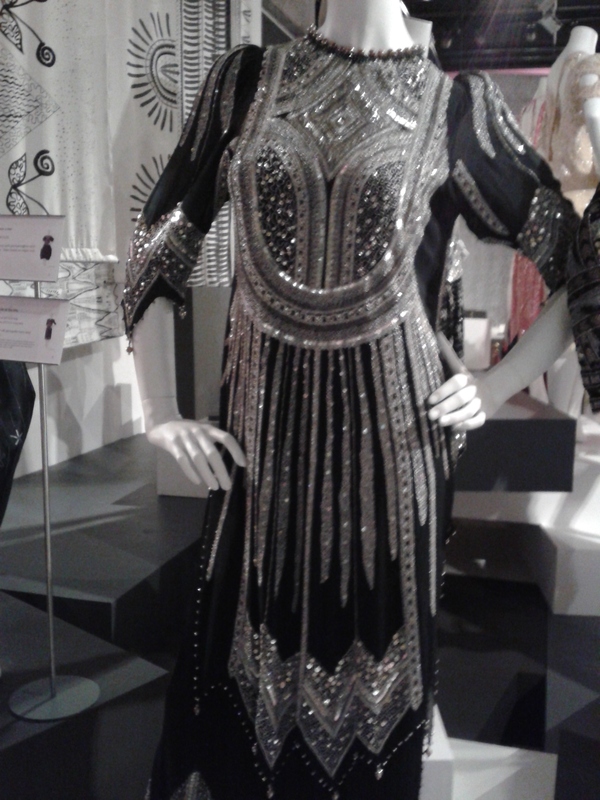 They currently have an exhibition which runs until January 2014 called the Glamour of Bellville Sassoon and you can take a sneak peek here. The Museum is located at 83 Bermondsey Street, London SE1 3XF and can be reached via a short walk from the London Bridge tube station.